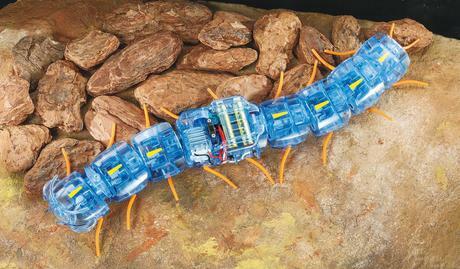 Like them or loathe them, centipedes are fascinating things, and this enthralling Educational Construction kit is an accurate recreation of a Japanese centipede’s slithering movement. 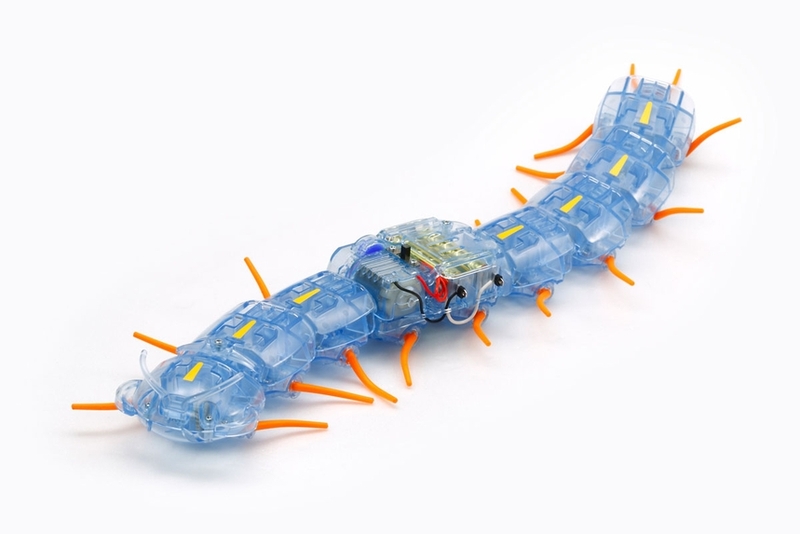 At around 40cm in length and with 9 pairs of legs, this is not only a highly interesting build, it also offers many hours of fun. This product was developed from original research performed by Osaka University in Japan. •	Length: 400mm, width: 92mm, height: 40mm Weight (including batteries): 243g. •	The finished model consists of a head unit and separate body units, gearbox and battery case. •	Approximate speed is 1 meter every 15 seconds. •	The underside of the model is shaped so that the centipede is automatically routed around obstacles it cannot go over. 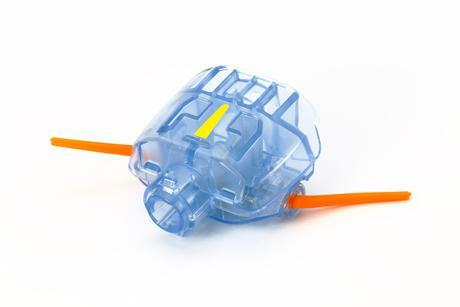 •	Body sections are molded in clear blue plastic. The number used can be altered. •	Type 130 motor and gears are shared with Mini 4WD products, therefore can be upgraded using Grade-Up parts from the Mini 4WD series. 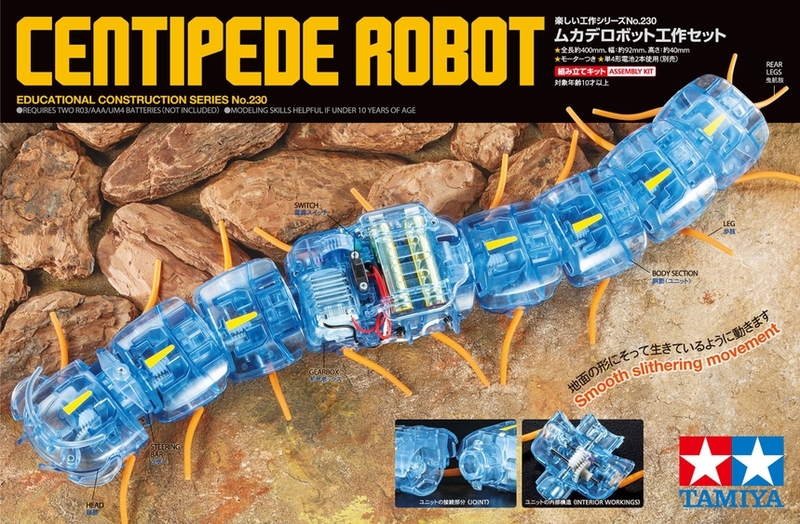 •	Requires two separately sold AAA batteries.